MY SKIN FITNESS Complexion Booster Coming Soon….! They say that beauty is in the eye of the beholder and we firmly believe that! Just think about all the different ‘types’ of beauty, not only in your own culture but that of others. Beauty has a different meaning for all of us. Thinking about this further got me thinking about what actually makes someone ‘beautiful’. One thing that does seem to apply to all cultures is that people who are healthy and fit, both in mind and in body, tend to exude beauty and radiance. We are so much more than what we look like. What we eat, and what we do, will reflect on our inner and outer beauty possibly in equal measure. You may see a beautiful skin on a young man or woman, but their diet is compiled of fast foods, processed foods, sugar and alcohol. What will their skin look like in 30 or 40 years time? people who are healthy and fit, both in mind and in body, tend to exude beauty and radiance. Being truly beautiful means looking after your body, and in equal measure, looking after your mind and of course, your skin. Without all three we will struggle to keep that glowing youthful complexion throughout our lives! Coming on to amazing things, I have got a little sneak preview of a new miracle in a bottle! it Is from our old favourite, Paul Penders. MySkinFitness is a brand new skincare product which contains red seaweed and some other fantastic ingredients. Those of you who follow Paul Penders will already know that he travels the world to find unique and innovative new ingredients for his skincare range, and has been doing this for over 40 years now! MySkinFitness Complexion Booster is all about new and exciting ingredients to stimulate and nourish your skin – keeping your skin fit and healthy just like you should do with your body. Just watch this little video to get a taste of what is coming…. Wherever I go in the world, I love to research local resources that could benefit our customers, especially for skin care. I am always on the lookout for new ingredients, and whenever possible, try to test them on people in different countries, in different circumstances and in differing climates. I have been looking for years for something that brings “instant results” for a variety of skin types and skin conditions from very dry skin to even semi-oily skin. My Caribbean voyage ended in Colon, Panama. 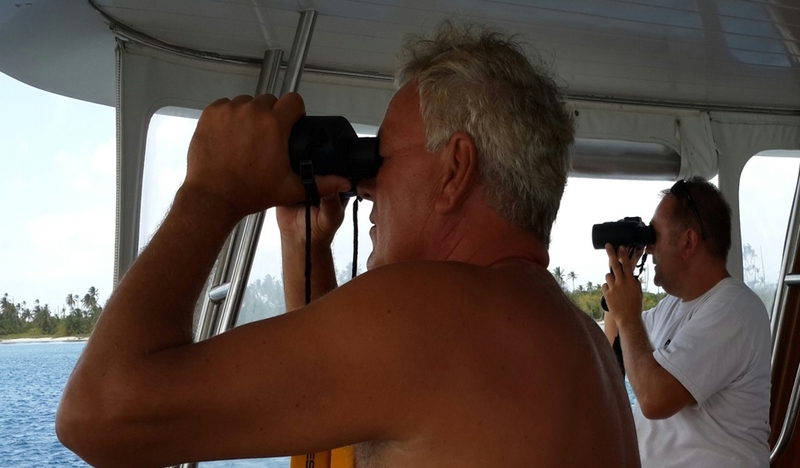 I will always be grateful to my friend Paul Roncken for inviting me aboard his beautiful yacht and for being willing to sail to the remote San Blas islands of Panama in search of a special seaweed. 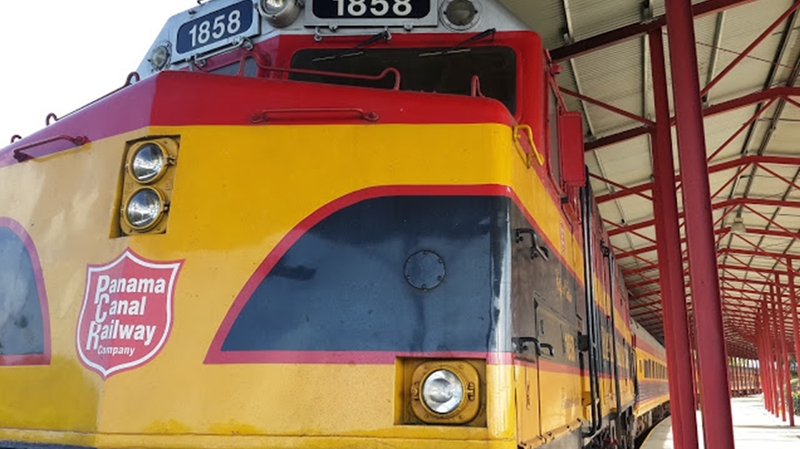 From Colon, my friend and I took a beautiful train ride along the Panama Canal to Panama City, crossing from the Caribbean Sea to the Pacific Ocean. After all our efforts to harvest the special plant, I made sure the seaweed samples were dried properly to bring back home to Langkawi. The fresh, salty smelling fragrance of the drying seaweed permeated my hotel room in Panama City. As I drifted off to sleep, I felt I was still on the open ocean because of the rich fragrance. The salt makes it very tasty as well. People who love seaweed should try this one! I am sure that our senior cosmetic scientist, Dr. Gatot on Langkawi Island, looks forward to what I bring back. At his side in the lab, we will work together to try to achieve the best possible skincare formula. Our company is going in new directions with direct network sales so that our products reach a much wider range of customers. As always, we try to keep up with the latest scientific developments. Dr. Gatot is now experimenting with plant stem-cell materials and their possible applications for cosmetic science and new products. The possibilities for the future are exciting. 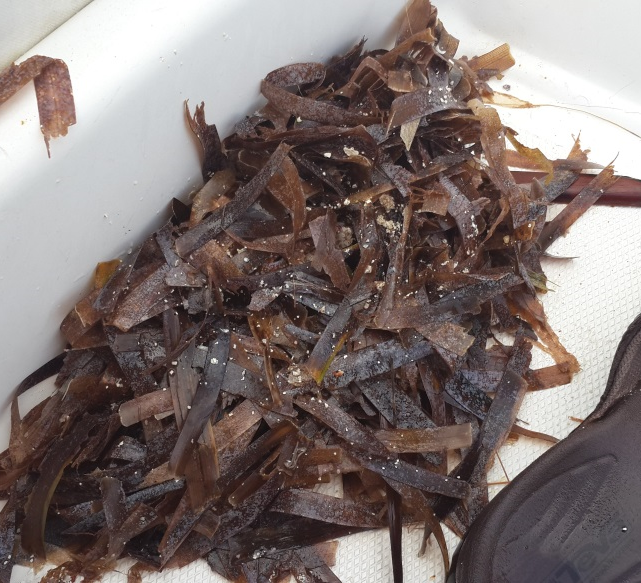 It took me almost 4 weeks in the Caribbean Seas to find what I hope will be a ‘secret weapon’ against the effects of weather and ageing – a very special seaweed from the San Blas islands. Our “Caribbean Seaweed Expedition” was a great adventure but not without its frightening moments. We did not always have the best weather. Though I have sailed for many years, I was seasick 2 times. On dark nights in heavy rain, huge waves surrounded us. There were times we could not see anything and sailed through the treacherous seas on instruments alone. Was it all worth it? Nevertheless, isn´t this one more example which shows the difference between our company and others? Constantly seeking the best makes us what we are. Isn’t that what I always have done? For that – for excellence — I ended up taking the Paul Penders company to the gorgeous tropical rainforests of Langkawi Island in Malaysia. Why? Because the first moment I saw it, I knew there may not be a better place to live in the world. Maybe it is. It is where my heart is. And I knew it is where I would find pure natural ingredients from the rainforest to produce the most effective natural beauty care products. Back in Langkawi, Malaysia I shared the seaweed with Dr. Gatot, Senior Cosmetic Chemist at Paul Penders labs. He will start several extraction tests; then add the best of these extracts to our new formulations for our new products being “Instant-Result-Moisturizers”…. There is always something interesting to learn from your neighbours. Here we were sailing along in the Caribbean Sea, stopping off at a marina, this time in Colombia, and no exception. My friends and I ran into Jessie van Beckhoven, a remarkable woman who told us the story of her life. What really got my attention was that besides being an accomplished sailor, she also shared that she is a singer, a classical piano player, a chef, and a wonderful artist who makes beautiful drawings and sculptures using the simplest natural materials, changing them into something very unique. We invited her for a coffee on our vessel. Our first impression was that she was a kind and friendly soul. We learned about her life’s journey; a story of personal bravery and inspiration. Earlier in life, she volunteered to help people in Liberia. Living there, she survived 3 wars, shielding children from the dictators who murdered hundreds of thousands of people for whatever terrible political reasons. When she describes some of her experiences at that time, her face changes and the emotions cause her hands to fly up into her hair. In all those years surrounded by enormous cruelty, she still tried to find beauty. For 20 years, she lived in Africa trying to help lessen the pain of thousands of people. Her life story is actually so dramatic that a television company wants to make a film about her experiences. As a follower of Anthroposophy, she finds peace and wisdom in the teachings of Rudolph Steiner. She believes in freedom, kindness and positive thoughts for the best of all people on earth. Jessie showed us images of her works. An amazing artist, her talents also include photography, growing herbs and an exceptional gift for cooking. She told us about a delicious dish made with rosemary, olive oil, garlic and pine nuts to which she adds some pepper and sea salt. It sounded so good that the day after we went to the local supermarket in Cartagena to buy all the ingredients and prepared ourselves a delicious and healthy meal. I became interested in how she must have taken care of her skin for so many years in the worst of weather circumstances. I bluntly asked her age and was relieved she was even happy with that question and I was surprised to learn that at her age of 63 she still not only fully expresses signs of beauty but also a passion for life. I explained I was here on an expedition aimed at making better skincare products, testing new formulations in the worst conditions for any type of skin. I asked what her secret was. She had tried many things; some worked better than others did. 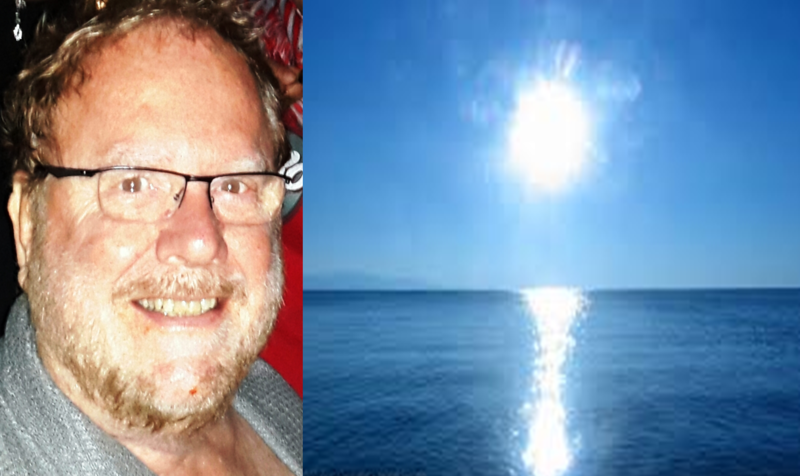 How does someone take care of their skin having lived for decades in hot, dry Africa and now in the harsh salt-water conditions in Colombia with lots of sun as well? I promised her I was going to send her some of our skincare and hair care products. I asked if she would try out the new beauty serum that Dr. Gatot is working on in our lab? She said she would be delighted. Will our new anti-ageing serum bring instant improvement to Jessie’s skin? Will it make her skin appear fresher, although her youthful energy shines through already? This then will be another story for future blogs. Like Robinson Crusoe’s island, most of the San Blas archipelago off northern Panama remains uninhabited. Making up most of the independent state of Comarca San Blas, you could visit an island a day – there are more than 365 islands in the group. Tiny communities of Kuna Yala Indians live on about 50 of the islands, although we never saw a single soul during our stay. We heard that there are coconut trading and supply ships, which travel back and forth to Colombia or the northern coast of Panama on 6 to 8 day voyages. Once a pirate hangout, helicopter tours now take brave backpackers out to the islands and some tour companies offer cruises when the weather is good. My friend Paul and I sailed there in four days through rough waters in search of a very special seaweed. While the islands do not usually have the hurricanes that devastate the eastern Caribbean islands, the seas are rough and the wind can be very strong. At times, huge waves reared up behind our boat, higher than the mast. At 90-feet, the sailing yacht “Aria” owned by my friend Paul Roncker is very sea-worthy. Still there were some heart-pounding moments as the ship pitched and rolled. Close in to the islands, birds were our only companions. A haven for birds and marine life, a major source of food for both flora and fauna is the seaweed that we had come to find. In a calm channel surrounded by islands, we found patches of the long brown seaweed floating on the deep blue water. Down below, we could see acres of the plants waving like grassy fields. One of the crew dove into the water to harvest the seaweed we had come so far to find. It was a great moment that filled us with joy when the first seaweed came on board. It smelled salty and good and I even tasted some — it tasted quite nice. Yes, it was slimy – but it was a rich, clean slime. Our hands were rough and hard from days in the hot sun and seawater. When you put the seaweed straight on your hands, it immediately moisturized and cooled your skin. When we get it back to the lab, we will do extensive tests. However, I’m pretty sure the results of using this seaweed will be significantly better than the ones we have tried so far from Sabah and elsewhere. If we do choose to use the San Blas variety, then we will need to figure out how to get a regular supply from the locals. We also need to consider the impact of seaweed harvesting. We would only use parts that do not affect the environment in any way. You can find these laying on the beach and thriving in the water, especially long strands that came loose in storms. Plenty of seaweed available! Floating ‘islands’ of seaweed which have already come loose from the bottom and head with the current and waves towards the beach, can be collected without harm to the environment. Harvesting free-floating seaweed does not interfere with the unbelievable unspoiled beauty of these islands. The only thing I wanted to take home was seaweed. There is something exceptional about the quality of the San Blas seaweed. I heard that local people have used it for centuries for various health purposes and also for protecting and caring for their skin. I knew how happy Dr. Gatot would be to get samples of this seaweed as we had had long discussions in our lab in Langkawi. Currently we use seaweed from the coast of Sabah near Borneo, Indonesia. But this seaweed from the San Blas islands of Panama seems to be of the best quality around and therefore well worth our time and investment. With my skin so rough after days manning the sails under the hot sun with salt spray splattering us constantly, the San Blas seaweed felt so soothing. My skin blisters seemed to heal more quickly than I expected. It certainly works for me! 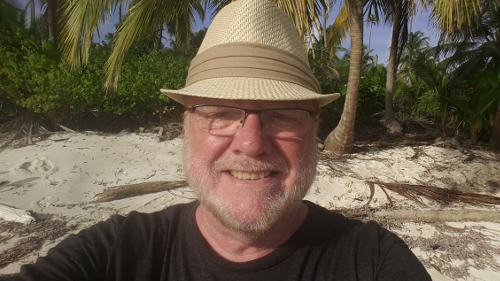 For four days, my friend Paul and I sailed the Caribbean Sea from Cartegena, Colombia to remote tropical islands off the northern coast of Panama. 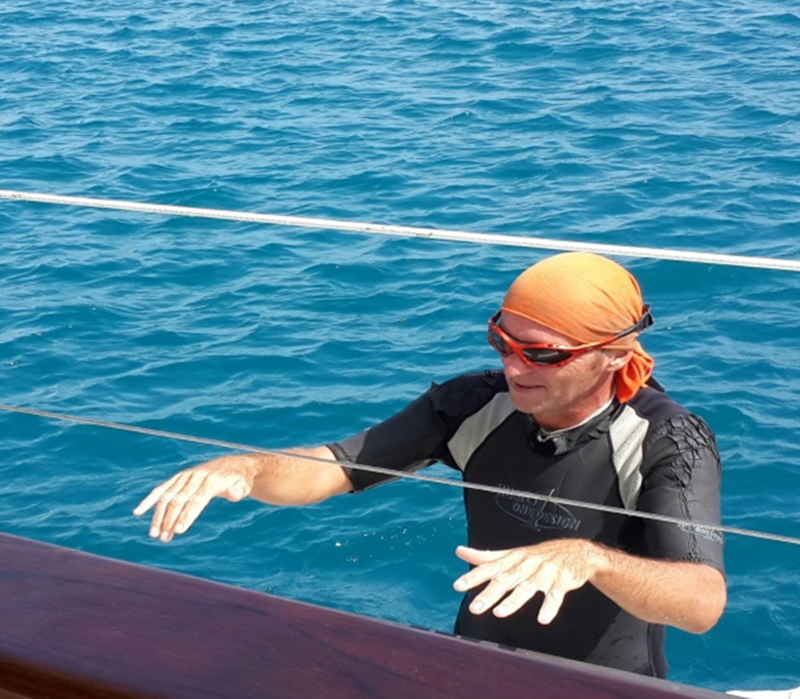 Dark nights, strong winds, and huge waves tested our sailing skills to the max but we finally found what we had come for – a very special seaweed that we may use in future Paul Penders products. Meanwhile, back in our lab on Langkawi Island in Malaysia, Dr. Gatot, our senior cosmetic chemist, has been busy developing a new skincare product. The aim? To create a Paul Penders product that would bring back skin freshness almost instantly. He and I were inspired by a recent visit to a major “high-tech” cosmetic ingredients conference in Bangkok. Researchers from the largest cosmetics companies in the world gathered to share their discoveries. 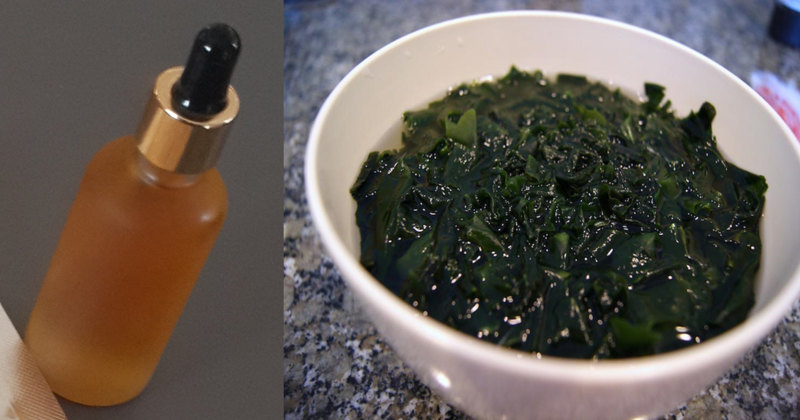 We were intrigued by how some of the “super anti-ageing ingredients” could be created by combining seaweeds and natural plant stem-cells. In the lab, Dr. Gatot has incorporated some of our trusted Malaysian organic jungle herbs into Paul ‘Penders products including a ‘miracle plant’ called pegaga. Just outside the lab doors, we grow our own organic bismillah plants which he combined with a special quality seaweed from Sabah, Malaysia. When he had finished the new formula and was satisfied with the first batches, they were tested on various people with promising results. Now I wanted this new skincare formula to be tested under tough weather conditions. 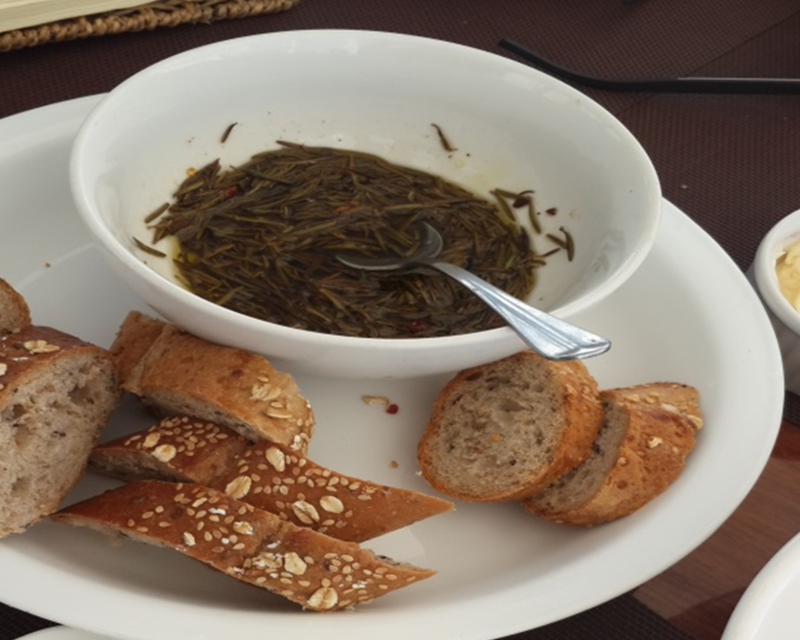 As it happened, I had heard of a special seaweed found in the San Blas islands in Panama. A close friend was sailing the Caribbean and invited me to come along for a few weeks. Here was my chance. Why not do both? Find the intriguing seaweed from San Blas — and at the same time, use the brutal ocean environment of the Caribbean Sea to test Dr. Gatot’s new formula on our own faces, arms and bodies? If these new formulas could work in the toughest conditions, would we not have a real winner for our skincare line? 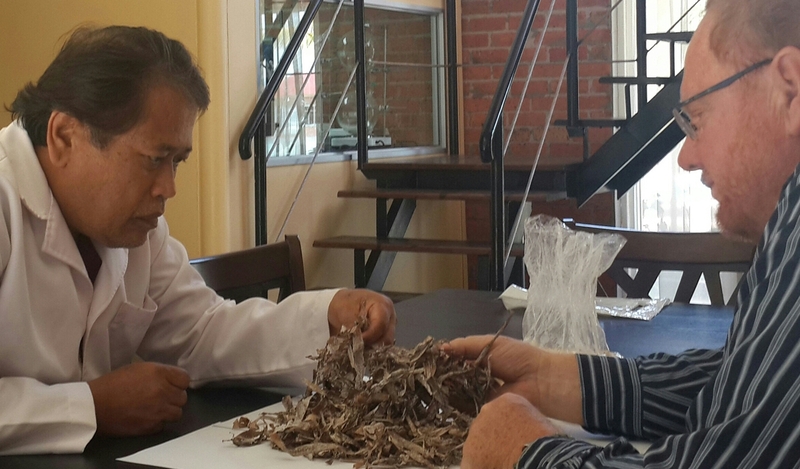 I wanted to be sure the lab uses the right seaweed – the very best and purest. This is the reason why we went to the western Caribbean to the San Blas group of islands where very few people live. The islands are located some 100 km from the coast of Panama and remain one of the most remote and pristine in the world. Not all sailboats reach these islands; most of the time there are very strong winds. Over the years, many sailors have lost their vessels. Plenty of ships lay on the reef; some have gone down recently, some may have lain there for 50 years or longer. The strong sea currents and huge waves are ‘king’ around these very small and very beautiful islands. 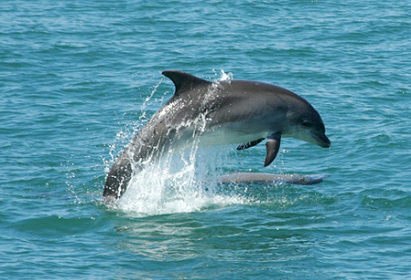 During our four-day voyage, pods of dolphins played around the boat. As the islands appeared on the horizon, we sighted a few birds overhead and sea rays jumped out of the water. This is not a popular tourist spot — there is nothing much to do here but admire what is still pure nature. White very fine sand, blue-green water and palm trees adorn these deserted tropical islands. Always, there is the huge sound of magnificent high waves. Were the dolphins greeting us or warning us too? Were they saying to keep the islands unspoiled and that we should leave this special environment in exactly the same condition as we found it? 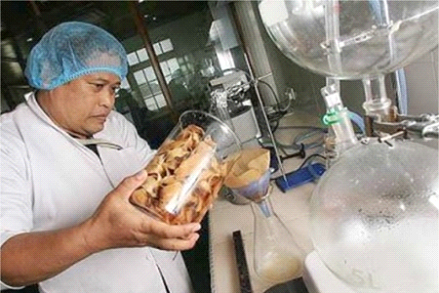 If we decide to use the San Blas seaweed in Paul Penders products, we will have to take into account the difficulties involved in harvesting and shipping it from Panama to our facilities in Malaysia. Even more importantly, we will need to consider the impact of seaweed harvesting on the local people and the marine environment.